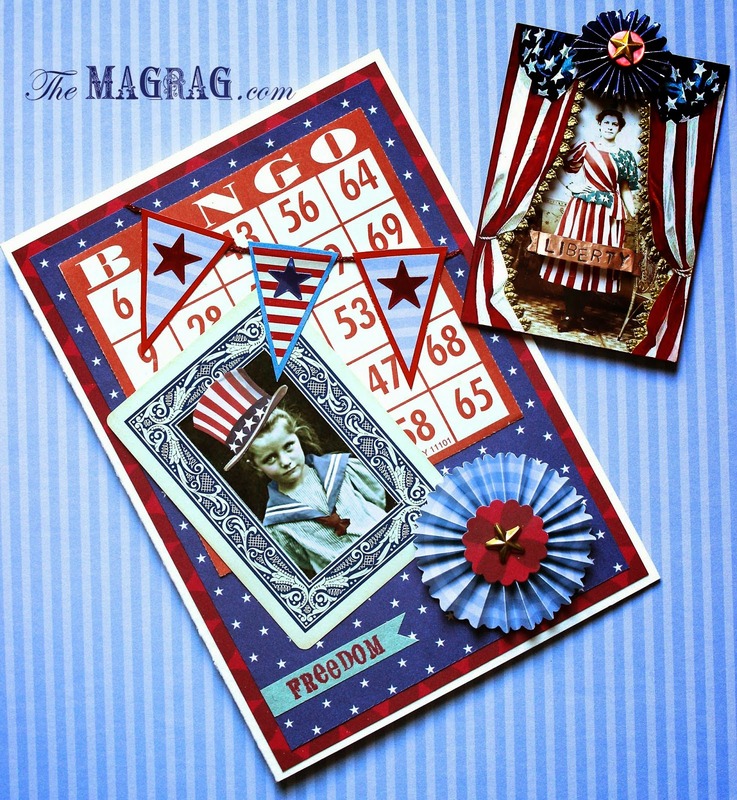 The Mag Rag: "Grow Your Blog" ...and a GIVEAWAY! For the 3rd annual "GROW YOUR BLOG" party!! at the end of this post! My name is Maggie, from beautiful Portland, Oregon. I've been a professional illustrator and designer, mostly in the textile and home-sewing industry for many years. I devote much of my free time to my love of crafting and painting. I enjoy blogging because it has introduced me to a great many kindred souls out there who share many of my passions. I like to use my blog as a journal of sorts, to share the projects I'm working on. 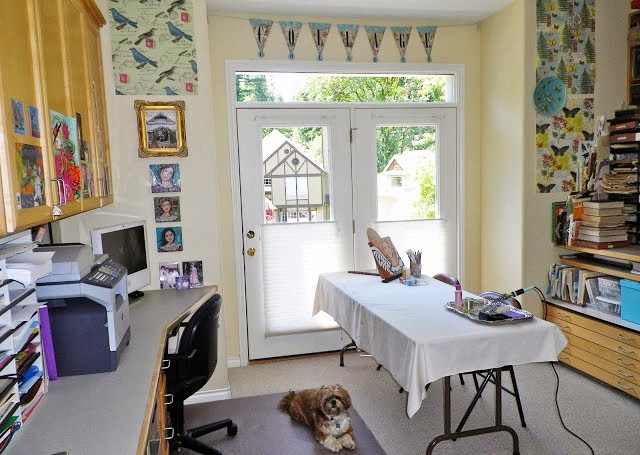 It also serves as a doorway to my Etsy shop, which is woefully bare right now, but should be stocked again soon with the soldered jewelry and angel paintings that I love to create. Sometimes I share tidbits about my family. My only child is far away for her sophomore year at college (and I'm still adjusting to the empty nest! ), and I share news about her, my husband, or my friends and family. Sometimes I hold small soldering workshops here in my studio, but it has been a while. Hoping to have one or two classes in the new year. My workspace is rarely this tidy. I'm lucky to have tons of natural light from the french doors, though sometimes that's rare in our rainy Pacific Northwest! I've spent many years illustrating for Simplicity Pattern Company drawing mostly little girls' fashions such as this...sadly for me, they use photography almost exclusively these days, but I still do occasional jobs for them. This is an oldie, but a favorite: illustrating a furry kid AND a dog! I was corporate art director at Daisy Kingdom for a zillion years, too....some of you may remember them for their crafts and kids' clothes. The work that I do professionally includes illustration and graphic design. I have my own company, Raguse Creative Services, and do artwork for a variety of clients. Lately, I've been developing surface designs for a tote bag company, which is a lot of fun. 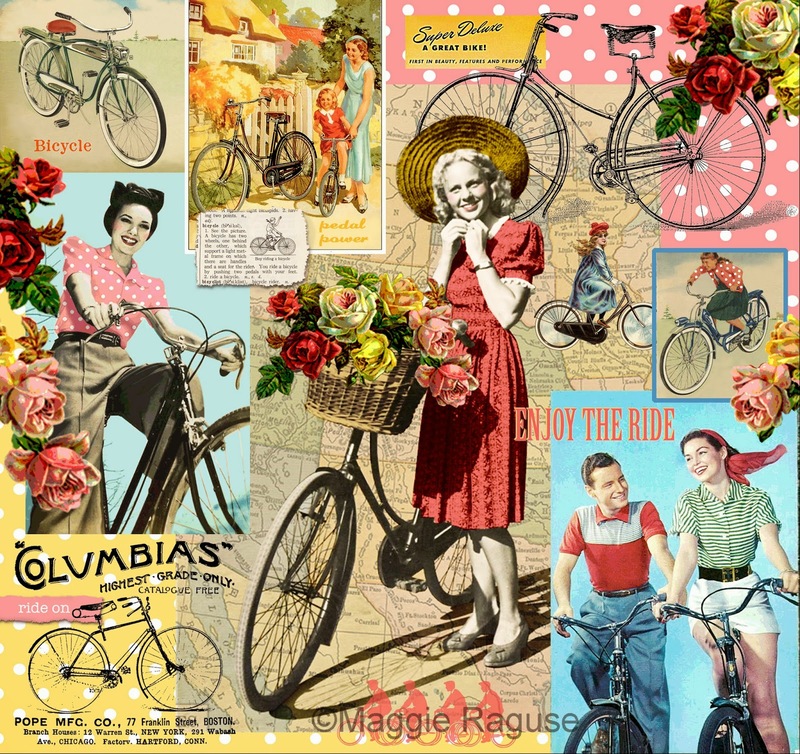 I'm really into vintage, collage-y images right now. 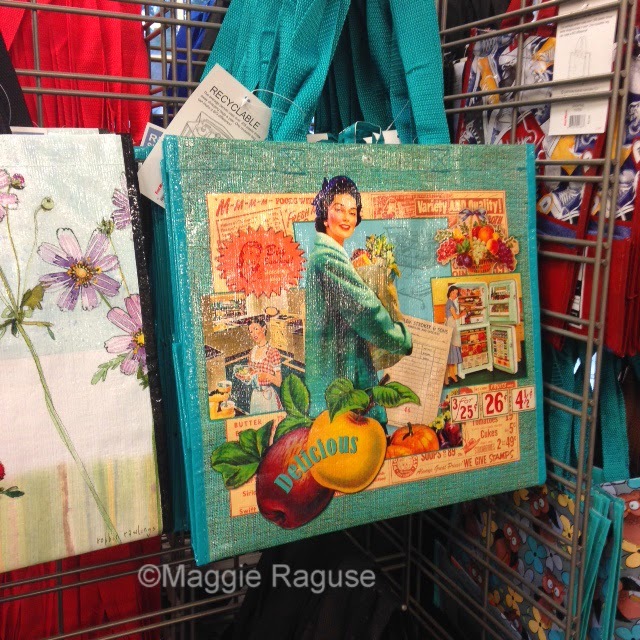 I recently found one of my new designs at our local Kroger affiliate, Fred Meyer...always a thrill to see it on the racks! Here's what the final art looked like. I created it in Photoshop...which I really just started learning when I did this design about 9 months ago. I'm still a 'newbie' and learning as I go! Here's a sneak preview of three new tote bags I designed. Not on the market yet, but soon...You all get to see them here first!! And now, for my GIVEAWAY! Good luck to you and THANK YOU so much for stopping by! Consider becoming a follower if you'd like, come back often and we'll get better acquainted! And thanks again, Vicki, for hosting the party! I am amazed! I LOVE your folk art angels. They are so incredibly beautiful! I hope I win the giveaway, but if not are they available for purchase? so nice to see you here again. I hope you will have many visitors today. I was very lucky to win your giveaway last year and love your creativity and work. What fun blog! So much to see here. 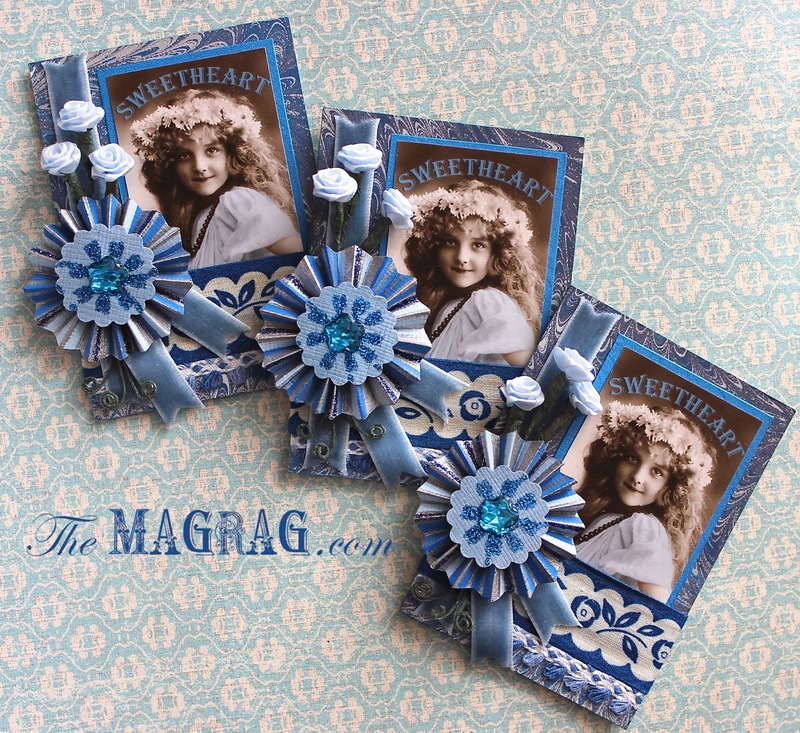 :) I am a new follower through the blog hop - I enjoyed meeting you this morning! Hi Maggie. It's been awhile since I've visited your blog. I still love your paintings and illustrations. I remember when your bag design was submitted, or appeared, at Kroeger Grocery Stores. Sadly, here in Flagstaff, AZ, our one and only Fry's (Kroeger) didn't have your bag. And I really need to check on some of the swaps that you participate in. 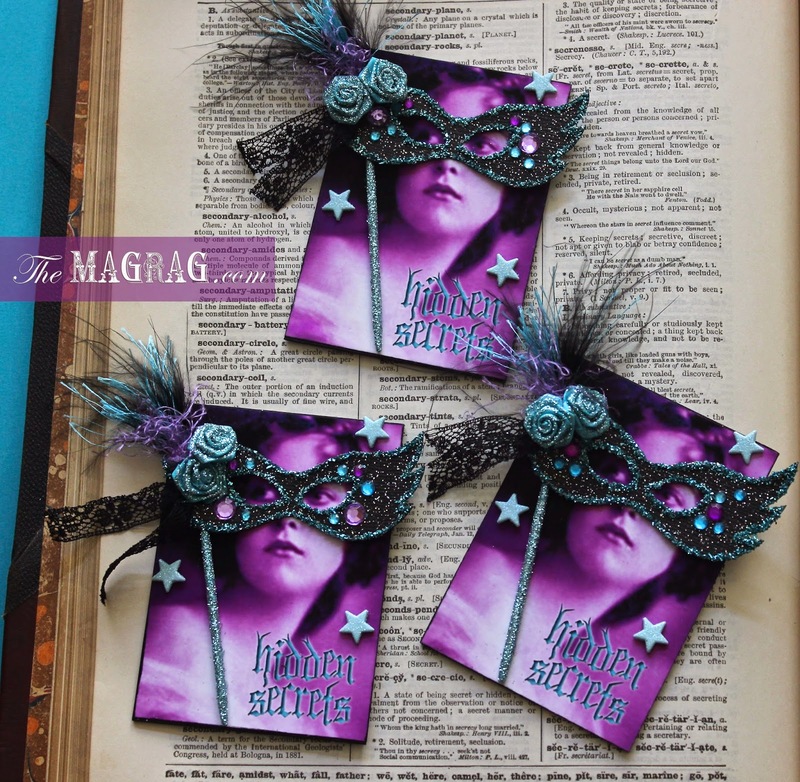 I love the ATCs you posted. Your work is marvelous, as usual. Hi Maggie, what a talented lady you are! How wonderful that you used to illustrate Simplicity patterns, I remember them from sewing classes at school! I'm giving Vicki a helping hand checking all the blogs in the party so on her behalf, welcome! 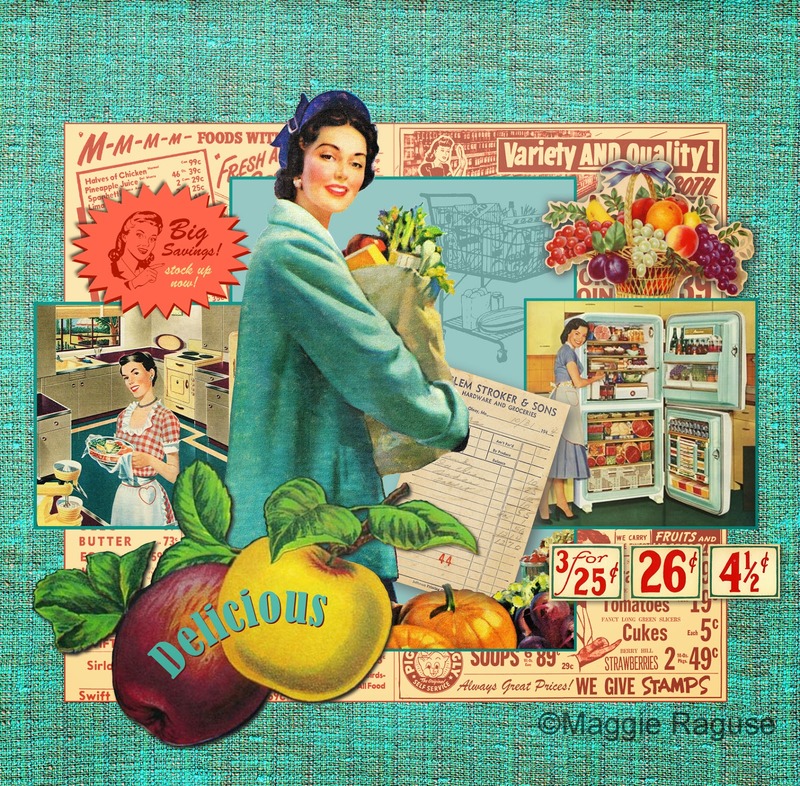 Oh Maggie, your work is beautiful. How thrilling to be published and see your finished product locally. I'll be following along for sure. I love your artwork. I'm looking forward to the Cowgirl tote. What a delightful assortment of creative pursuits! Your work is lovely and I enjoyed the peek into your work space. And goodness how fun is that Simplicity pattern illustration?! So happy to have found you via the GYB party. Hi Maggie! 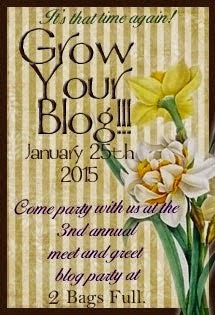 Nice to meet you here on "Grow Your Blog Party". I love your beautiful creations and artwork! Just became a follower of yours, so please include me in your awesome giveaway! So nice to have found your blog, again. I love your work and it is all so beautiful. I checked out your Etsy shop too only to discover I have already been following you there. Small world! Maggie, I loved the recap of all your beautiful work! Even though I have been a follower for a while, there is always something new to learn and I was delighted to hear about your new bag is at Fred's. What fun to walk in to the store and see something you created! Have fun at the GYB Party! Oh WOW. You make beautiful mixed media art. 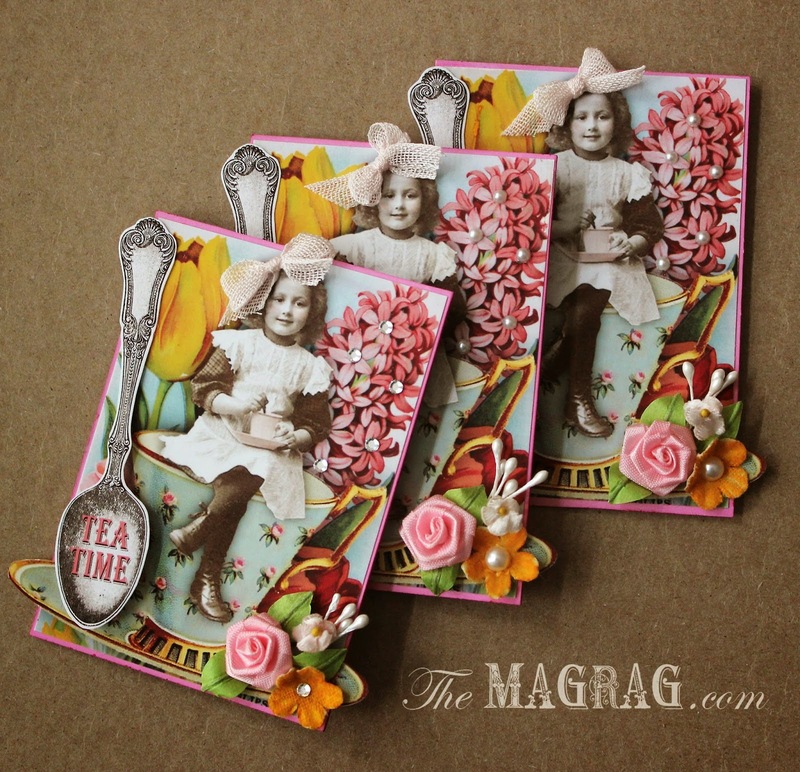 I was truly impressed with your ATCs, your fabric designs, and your soldered pieces. Those shadow boxes are amazing. I really enjoyed visiting your blog. It was a genuine breath of fresh air. Goodness me! I am in awe of the beautiful things you create (and just a tiny bit jealous of your skill too!!) What gorgeous things. And your Giveaway is very generous too. Isn't GYB fun?! Hi Maggie, it is so nice to meet you through the GYB event. 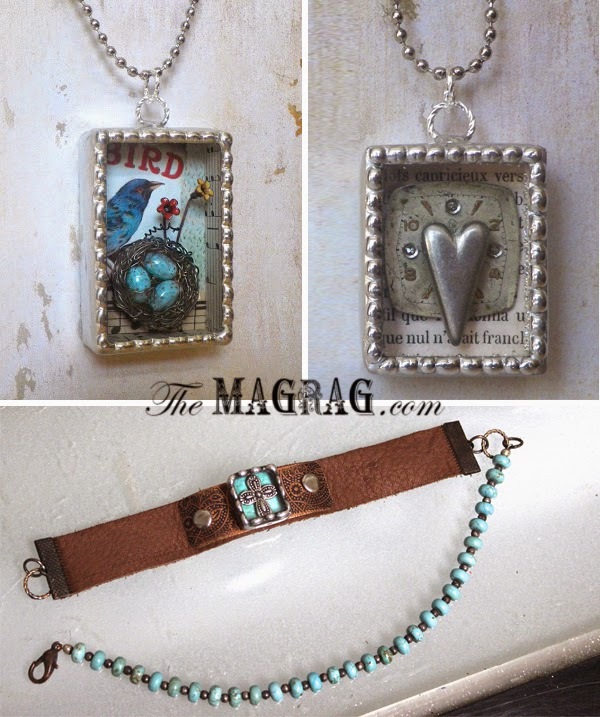 I really love your art work and jewelry making and you are so very talented! I have just joined your blog via google friend connect! Thank you for stopping by my blog yesterday and I do hope that you will join my blog too as I love being creative too and we have similar interests! I hope too that we can become blog friends. I love your giveaway and thanks so much for offering both of your creations. Thanks again. Oh wow, what beautiful makes! Popping by for the GYB party to say hello and thanks for stopping in at my blog too. I would just have to go with No.1 as I go weak at the knees for all-things-hearts! Wow I love your connection to the Daisy Kingdom patterns! I loved those illustrations and so wish that they would illustrate them instead of using photographs all the time. Your work is absolutely beautiful. Following you for sure! Hi Maggie, I remember last year I was a lucky winner here and when I see the things you sent me I think of you. Your art is simply amazing. I just loved seeing all of your projects here. I am wondering how Photoshop is done. I imagine I could watch some Youtube videos. There is much I can do on my Silhouette machine as far as collages and I am wondering what more Photoshop could do for me. Thank you for visiting me! Wow Maggie....your jewelery is amazing! 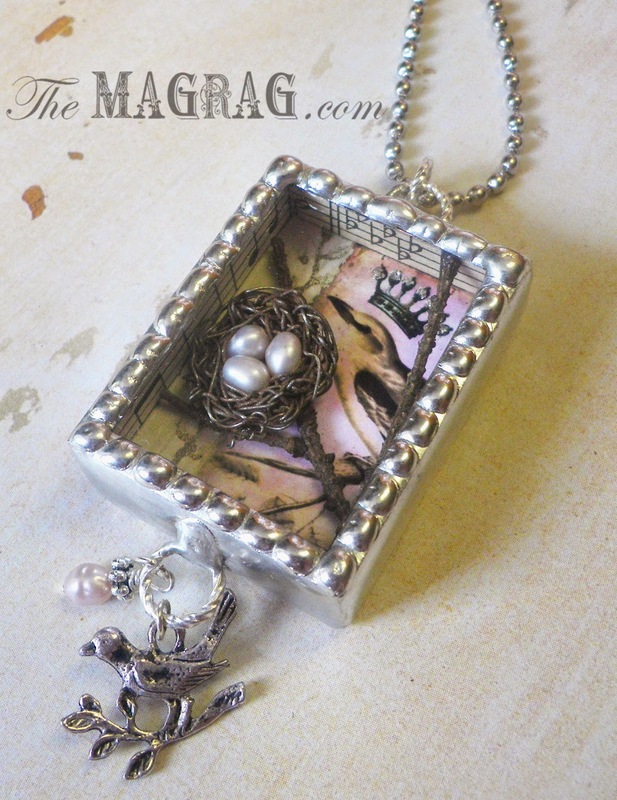 I love those box necklace charms. Very unique and interesting! I am visiting from GYB! G'day Maggie I'm visiting also from GYB and following your kind comments on my blog! Your work is wow - you are clearly a very talented and creative lady, I shall enjoy following and getting to know you better AND if you do visit Australia seeing what you get up to here!! Love your jewellery and thanks you for entering me in your giveaways! Enjoy the rest of your week and all your visits! I like your style. And I always wondered who drew those sewing pattern pictures. Now I know! 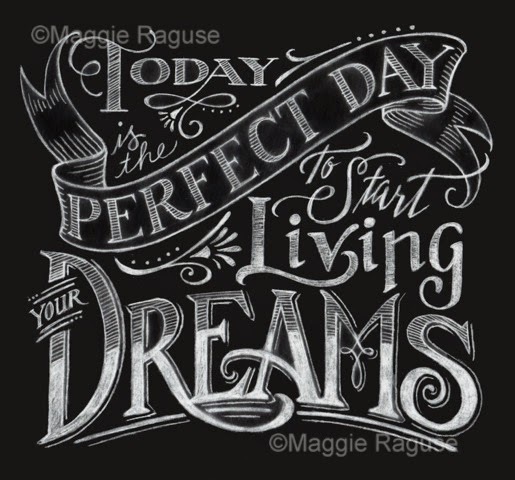 Maggie I'm absolutely enthralled by all of your beautiful artwork and your amazing resume! I was CRAZY about Daisy Kingdom designs "back in the day", in fact I ran across a photo recently of my daughter wearing a jumper made from one. Thanks for visiting and following my blog, I know I'll enjoy reading more and following your blog too! Wow Maggie, you are so talented! Gorgeous artwork and those cards, I was particularly drawn in by the teatime one. Your jewelry is gorgeous too, as are you pictures. I am visiting from the grow your blog party. Great to "meet" you! You have so many talents! Glad I stopped by for a visit! 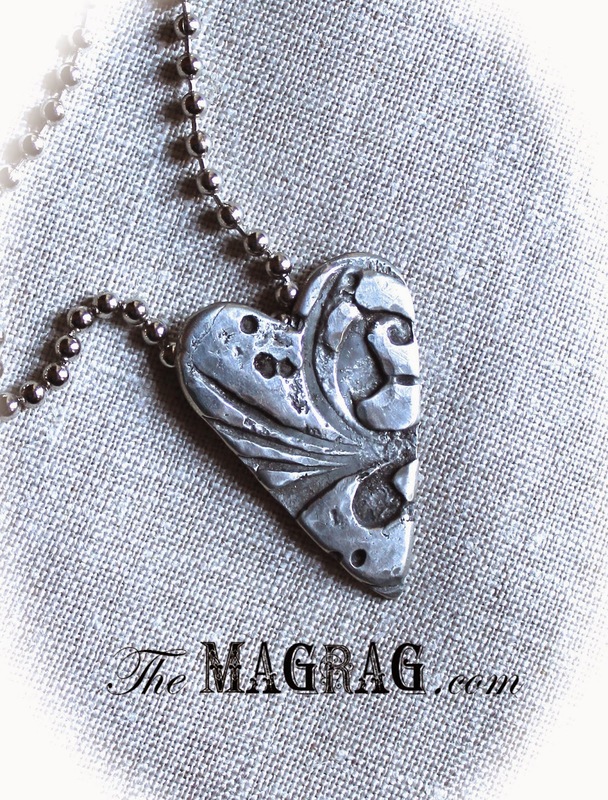 Love your beautiful soldered jewelry pieces! 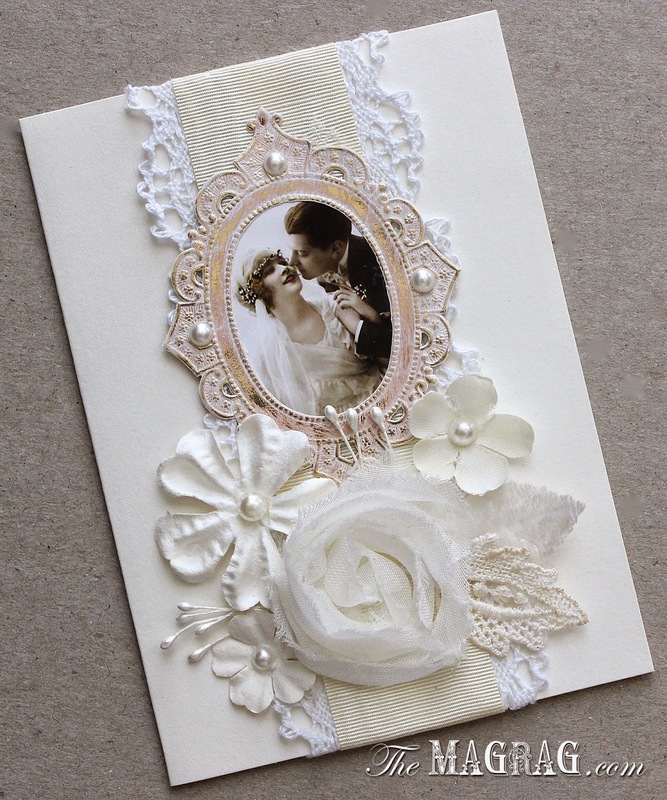 I am a cardmaker too, so your blog caught my attention! Thanks for a chance to win one of your beautiful creations! Lovely to meet you - I enjoyed seeing all your projects! Your artwork is amazing, I love mixed media and I'll be following you ! Wow - what fun it's been to visit with you! I'm in awe of your soldering talents - anytime I've tried it's ended up a dismal mess and me with burned fingers. Decided after several attempts that I am better served to stick to needle and thread! Hi Maggie! Nice to meet you- I'm still making my way around on the GYB party. It was great to see all your artwork. I have to tell you, I loved Daisy Kingdom- both my children had their nurseries decorated with DK - crib sheets, bumper pads, quilts, wallpaper border, the whole thing. Thanks for sharing your talents with us!! Visiting from GYB, you are one talented lady! Beautiful work. So impressed with your artistic abilities! Will be back to see more. 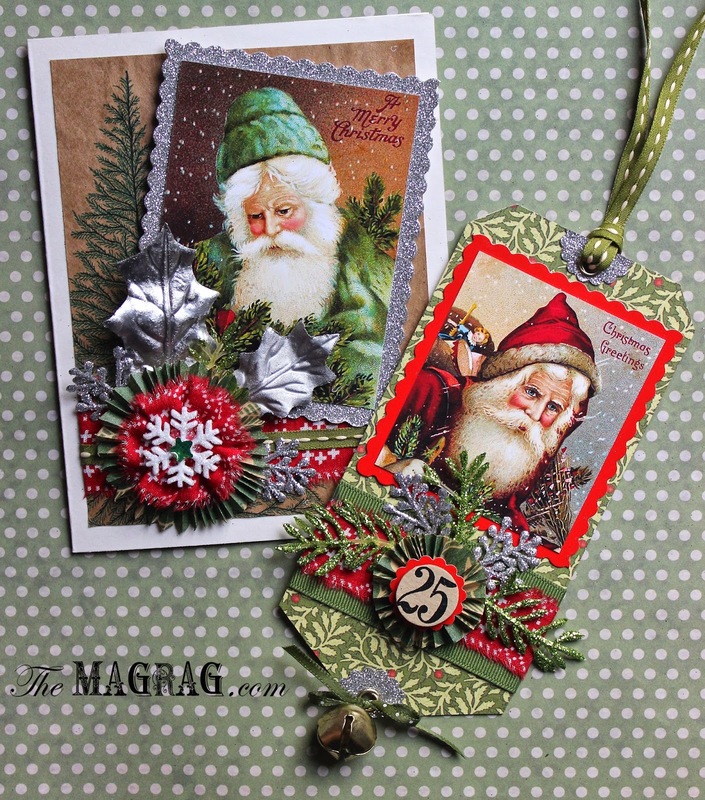 Hi Maggie - it is so nice to revisit all of your beautiful creations and your studio too. You have a diverse range of talents - love your soldering artwork I think mostly because it is not something I do but I really appreciate yours. 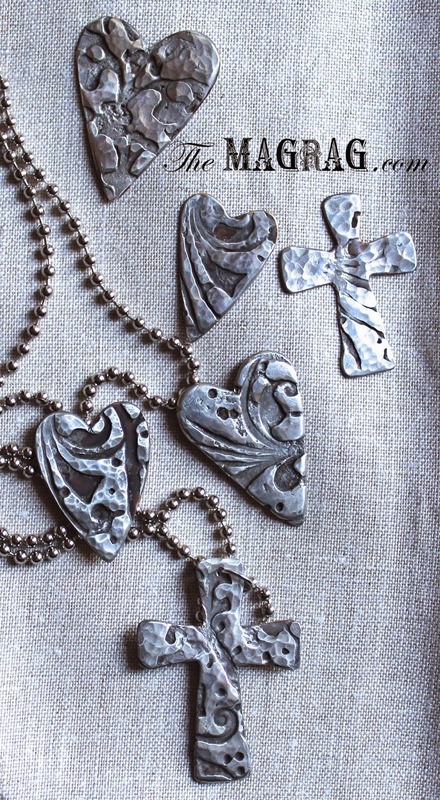 Your soldered hearts are just so beautiful! Hope you are enjoying the tour! Thanks for sharing everything again with us! Hi Maggie, thanks for visiting me for the GYB party. I love all your artwork, it's awesome. I hope you do mange to get to Australia, you'll love it here. Thanks for the wonderful give-aways you're offering. Thank you for taking the time to visit my blog. Your artwork is amazing! I love everything! I look forward to reading more of your posts and seeing more of your stunning artwork! Oh wow oh wow!! It will be with delight that I visit your gorgeous blog again and again. 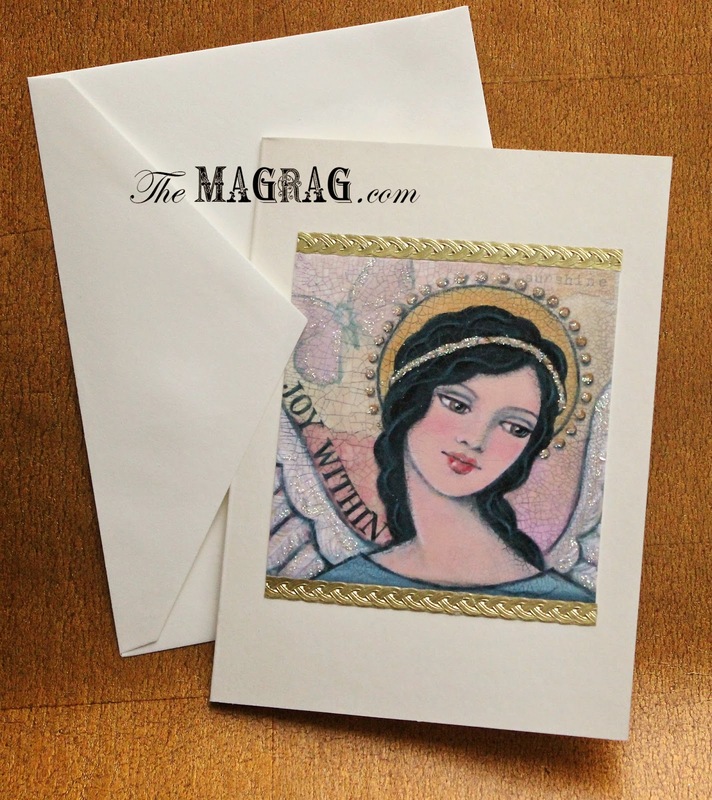 Your angels are sublime....but then so is everything showcased in this post. Love, love, love your tote bags. 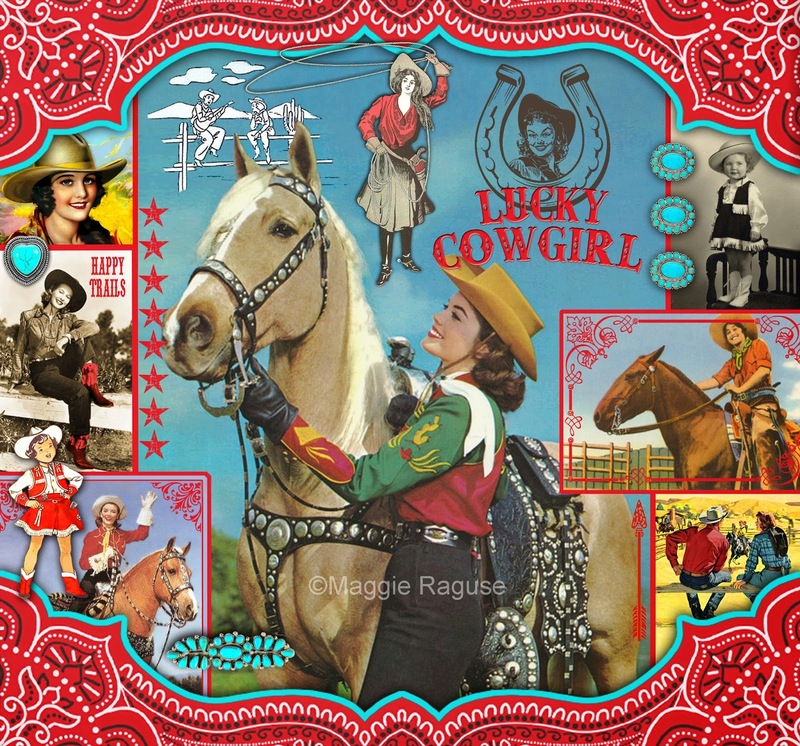 The western one reminds me of Dale Evans and her Palomina horse, Trigger. How disappointing Simplicity uses photographs now and not your gorgeous artwork. I bought a few Daisy Kingdom patterns when my girls were little. I can see I am going to have to make myself a cuppa and pull up a comfy chair as I wander throughout your lovely blog and drink in all the gorgeousness! Hello Maggie. Thank you for stopping by my blog (Fancy Foot Farm) for GYB and inviting me here. I'm still trying to get through the list also! Your work is GORGEOUS! I'm so glad I found your site and I'll be following your blog. I'd be thrilled to win either of your giveaways. Hello Maggie! So nice to meet you! 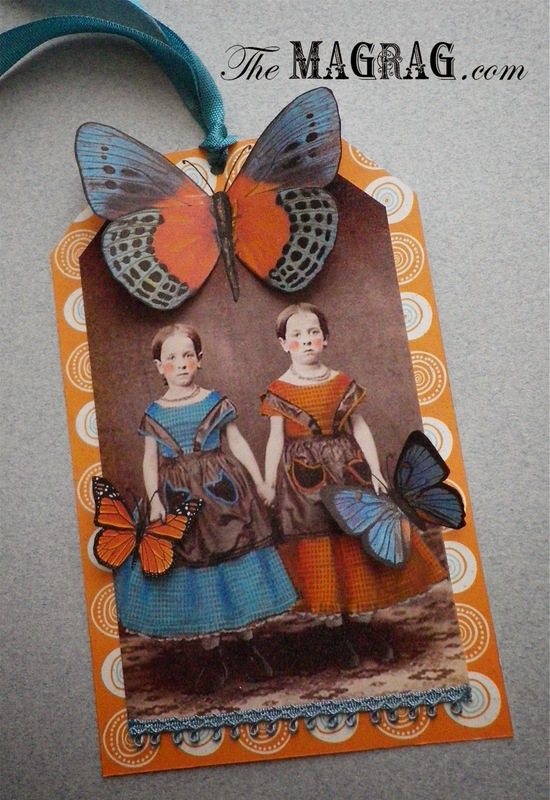 I am so glad I found you at artjoystuff.blogspot ATC swap! What a fantastic artist you are..WOW! I am definitely going to be a follower of yours! Thank you for the opportunity to enter your giveaway. Hello Maggie. Thank you for visiting my blog and leaving me such a nice comment. I love your artwork and the lovely illustrations you do. I will certainly become a new follower of your blog it's so nice to find new blogs to follow. I'd love to be entered in your give away. Such a lovely gift you are offering. Oh my gosh, I love the items you make! Great blog! It's my first time here... nice to "meet" you and so many other amazing crafters. God bless!